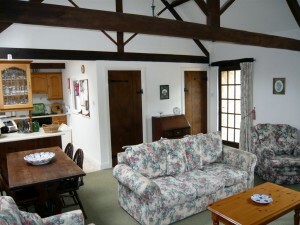 The Byre is the smallest of our holiday cottages, with a spacious sitting room, comfortable seating, T.V., desk and dining table, with the kitchen off. A door leads to the hall, and shower room. One step up into a roomy wet floor shower with glass screen, washbasin & lavatory. Two steps lead up to the large bedroom, with a super king bed which can be split into twin beds if requested ( and a sofa that converts to a single bed in the bedroom) Extra T.V. point. 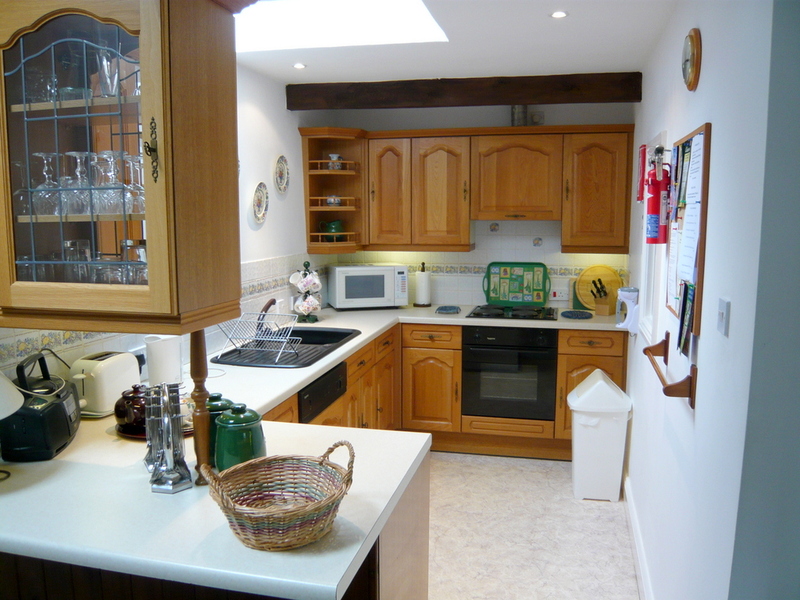 The kitchen is fully fitted with oak units, incorporating fridge, dishwasher, electric oven and hob, microwave, toaster, kettle and cafetiere. Ample china, glass and cutlery are provided, as well as tablecloth, napkins, tea towels etc. Bedrooms are comfortably furnished and the beds made up, ready for our guests’ arrival, using white cotton bedding, duvets and bedspreads. Visitors need only to bring their own cot bedding, if required.